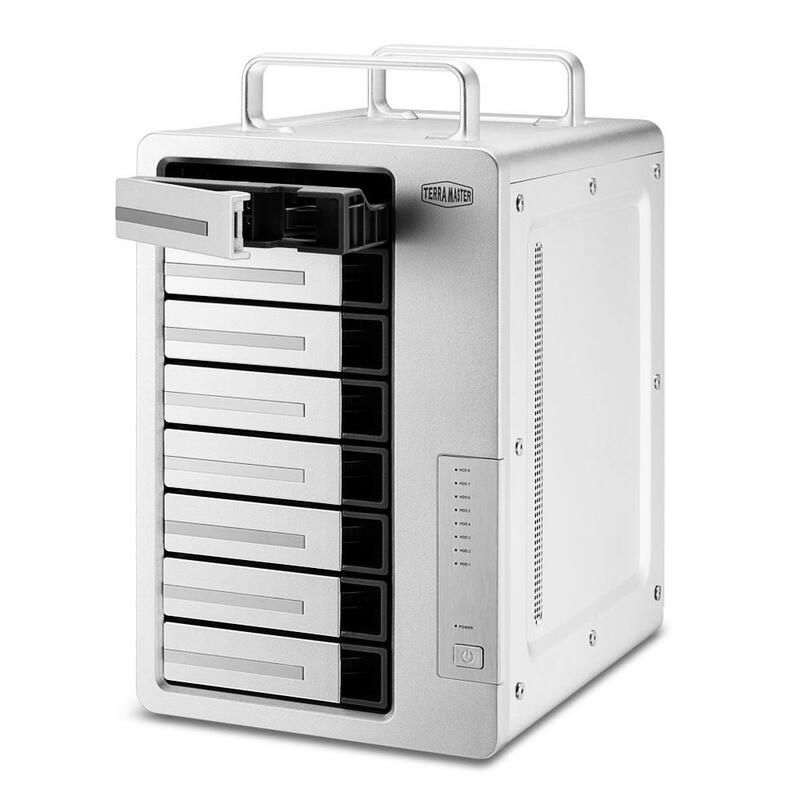 D8 Thunderbolt 3 is designed for professionals, especially those editing 4K video and having strict speed and safety requirements. 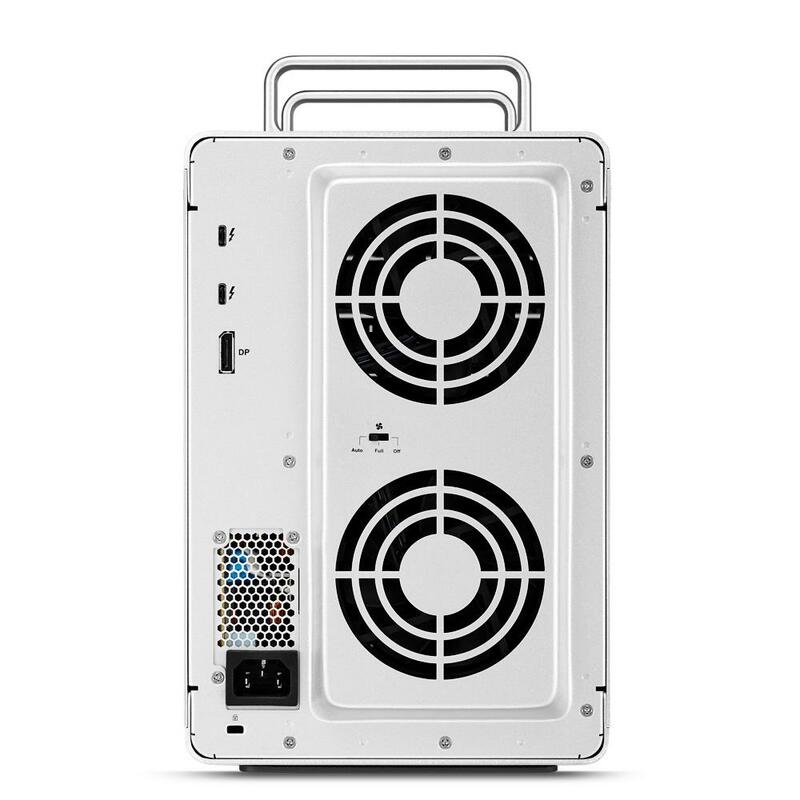 Drawing on a pair of Thunderbol 3 interfaces (40 Gbps) and a hardware RAID controller, the D8 Thunderbolt 3 can operate at transfer speeds of 1600 MB/s under a 7200 RPM high-speed hard disk and RAID 0 array mode. 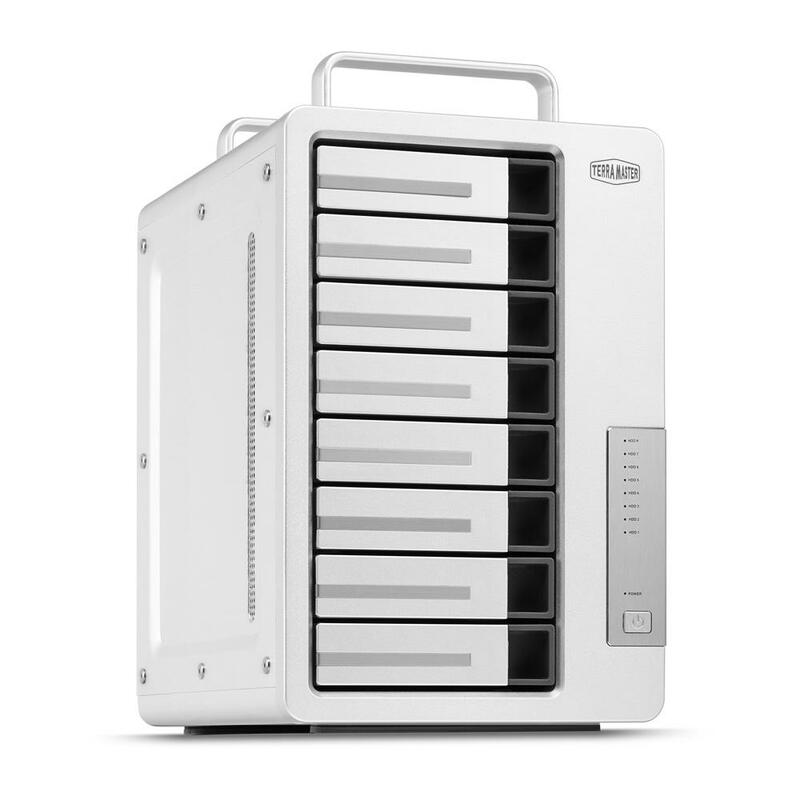 Under RAID 5, the device can achieve a speed of 1400 MB/s.